Waynez World 3 creepy-crawled across the finish line on Sunday night. The lineup shuffling from the previous day carried over, but similar to Saturday, the punks weren't hurt over it. Early evening highlights included Bleeding Gums -- a young Chicago punk band on its fourth trip to Kansas City -- and Sepsis -- a newer Denton outfit featuring some veterans of their scene. The former grabbed at the nostalgia of many Kansas Citians with a cover of Nuke Cult's anarchist anthem "Circle A." Two bands played their last shows on Sunday night as well, and one was a bit more successful than the other. Minneapolis punk band Lard Boys incited the most moshing out of any band the whole weekend. The group's sharp tempo switches and weirdo grooves proved to be irresistible to nearly every fan in the basement. The beer may have been flowing, but it's safe to say that the last Lard Boys show won't be forgotten any time soon. Due in part to transportation issues, the hotly anticipated final show of The Vitamens didn't go as planned. Three of the band's five original members weren't involved, and the ones there to scab had only practiced together once. In the middle of the band's third song, vocalist McKayla Edmonds founder herself unable to continue and let some eager fans take over. 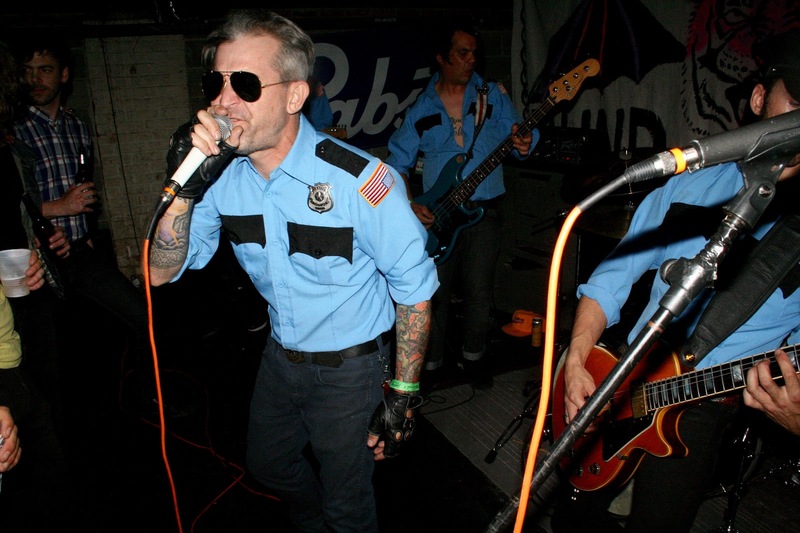 The fest was closed out with a performance from Houston's The Cops. Decked out in faux police uniforms and bantering about being "way out of [their] jurisdiction," the band played an unsophisticated, but ultimately enjoyable set of classic punk rock.